Every now and then I like to write what I label as my "Life and Learning" posts. Flowers from my "work son". I've actually been a little worried about my lack of sewing mojo this past month. I have found myself not wanting to do anything. This lack of motivation begun to worry me especially as I just couldn't shake this "stomach virus" I had. Well come to find out, what was first thought to be a stomach virus ended up being a gallblader attack! Now, two very painful weeks later (and six pounds lighter...well THAT's a bonus!) I had surgery this past Friday to FINALLY remove the darn thing! YAH !! So as I begin to awake and finally remove all my hospital "bracelets" and surgery is behind me, I 'm getting myself "set up" in my studio for the week of recovery ahead of me. I accept it's time to take a break. (I don't really have a choice do I! LOL!) But life has taught me to make the best of it. And you know Jackson will be right by my side! No one likes being sick. Pain and illness makes us weak and unmotivated. Yet, it also makes me empathetic. It reminds me why so many of us enjoy donating quilts. My youngest daughter asked me once: "Don't you ever get tired of making quilts? I mean how many can you make till you get bored?" 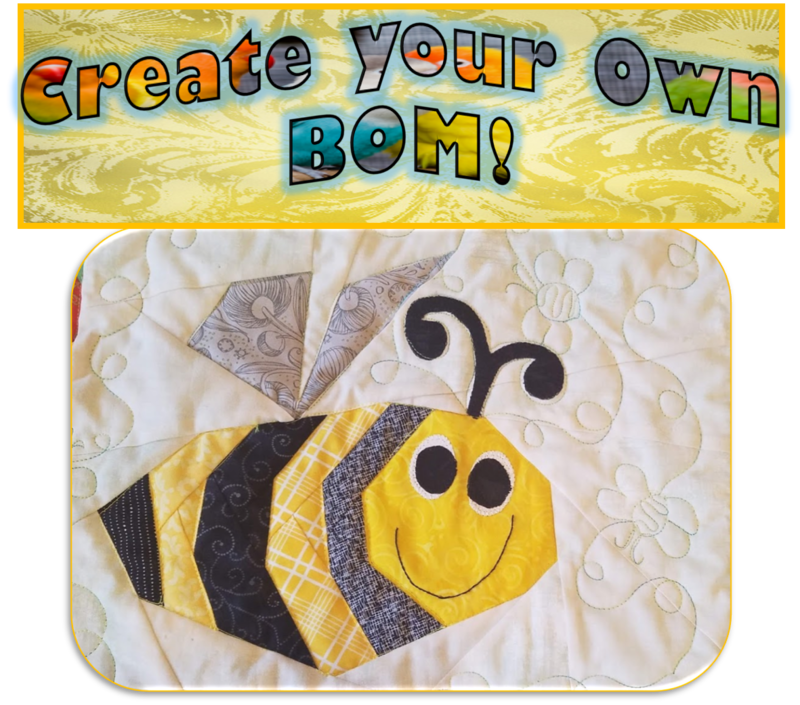 The answers: Never and a Million as quilting and creating keep me sane! Do you ever feel the same way? Even while I'm sick, I'm looking forward to creating some "made-fabric". It won't require any standing and involves minimal cutting. It will be fun! Later in the week I hope to finish my ABC quilt and will also enjoy some handstitching and reading. I've also let myself get lost in the world of Pinterest for awhile and found these fun Valentine mug rugs . 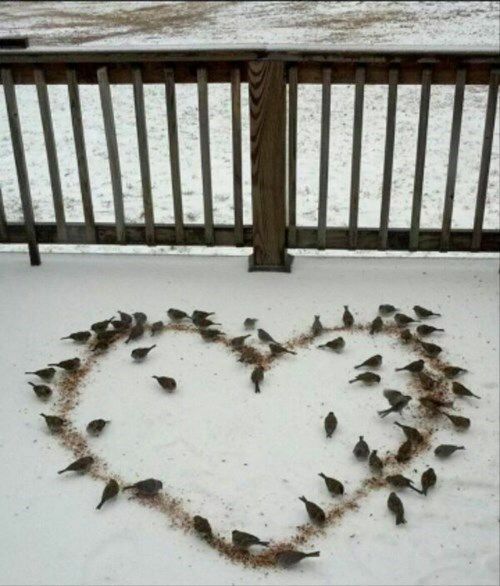 Andddd....totally random I know, but I'm totally doing this the next time it snows! Here's a shortcut to my Hearts Board if ya want to take a peek at what else I found! I love the month of February.Valentine's Day is my very favorite holiday and the hubby and I celebrate our 26th Anniversay! 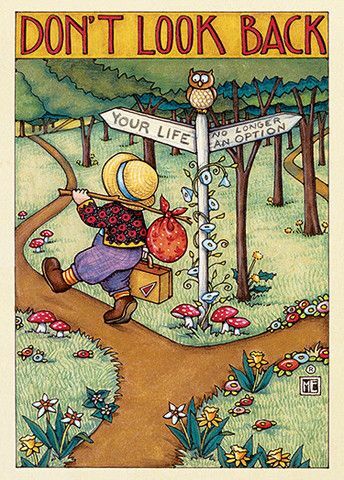 As I find myself on the mend, I'll close for now by sending healthy wishes & smiles to you all. Hope it's better for you now. A break where you do as little or much as you love to do is fine. Nice that you liked the hearts too. I'll try them out soon. Take care while recovering, we want you back in good health with no 'relapses'. You have a very comforting and comfortable set up - love the Valentine's treats (I just got some too) and thank you for sharing the heart goodness. I think I might make a couple of those 'you rule' Valentines - cute! Oh my! That's an excellent reason for not quite feeling yourself! Please take care of yourself and don't feel guilty if you just relax and watch some mindless TV (with Jackson of course!). Had mine out about 20 years ago, and never missed that little bugger. Feel better, get plenty of rest, and don't jump up running around just because you're feeling better. Your insides will not forgive you. I had mine out in 1974 - you probably weren't yet. In those days you got a giant 2 ft. scar out of the deal. My daughter was only 8 months old then. It was tough trying not to pick her up. But I'm glad I had it taken out. Wasn't so sick all the time. So now you have a little planning time, a little you time. It's a good thing. Love the love bugs... might be just the right Valentine for my youngest grandson. (The older ones are teens, and nothing is right for them.) Which one are you making for the 2nd graders? I'm making the airplanes for the boys and for the girls I got stamp rings. They'll love them! I find the one thing positive that comes from a short term illness-is the down time, and crafts with hand sewing etc. Val, your work is GORGEOUS! Following you every place I could find from the GYB link-up! 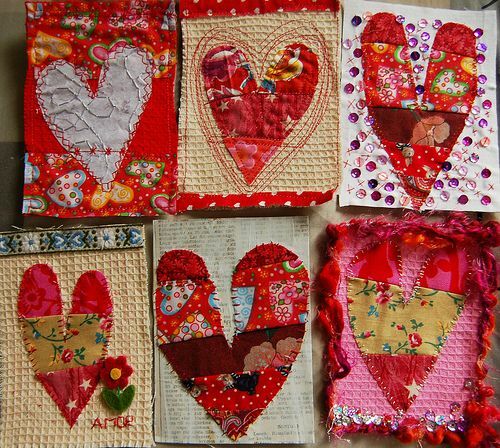 Those heart mug rugs are adorable - they would make a great quilt! What a lovely place to recuperate! Take your time getting better - use it to dream about what you want to create! Glad you are on the road to recovery, now sit back and enjoy the down-time. 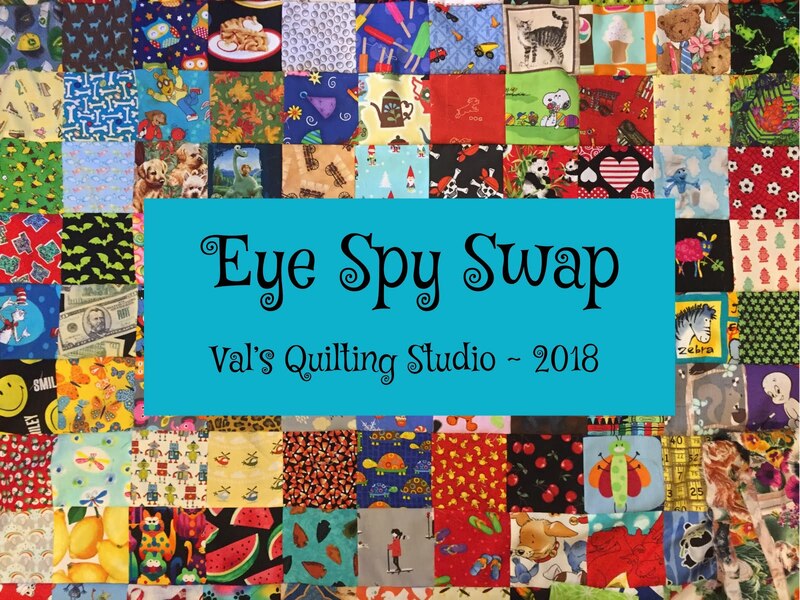 You can indulge in handsewing, browsing the web for more patterns and ideas and enjoy a good read. Time to restore those creative juices so you can bounce right back into everything when you feel well enough. I had the same thing happen to me two years ago! Thought I was having a heart attack! What unbelievable pain. So glad you're on the mend and able to take it easy! Get better soon. My husband spent 6+ months with gall bladder pain but they wouldn't operate until he could get in with the pain to have it evaluated. You are lucky! You must be feeling better with all your planning--what to do as you recover and the Valentines for your class. And I quilt because I really like it--would go crazy without it. And I want to try some of those mug rug ideas! Take some down time and recover properly! Your sewing mojo will come back in time. I am sure you have plenty of sick days, so don't rush back to your classroom too quickly! Who ever knew a little organ could cause so much havoc!! Thank you for your support and we'll wishes. Wishing you a speedy recovery! After my gallbladder surgery, every day I would waddle hunched over to the room where my longarm is and dream of the day I could get back to it. Your mojo will return with a vengeance I bet! Oh Cynthia thst is exactly how I feel!! Thank you for your comment! Sending you best wishes for quilty hugs. Please take care not to do too much. P.S. Those ruler valentines are my favorite. I'm so glad that you found out what the trouble was and got rid of it! Our 37th anniv. is on the 14th also. You better take it easy this week....we NEED you! Take the time to recover! Your picts are great! What a great room to recoup in! Lots of soft warm cozy creative things! Thanks for all the Valentine's tips! Take it easy and get well soon Val. That sofa looks might comfortable. It looks like a great place to rest and recuperate whilst getting lost in the land of Pinterest! Do take it easy and take care. 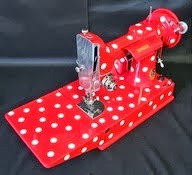 I have no doubt your sewing mojo will be back in next to no time. Oh boy do I remember what that felt like. It took 6 months before the doc figured out what was wrong and I felt so much better the minute that dang thing was out. Recovery isn't bad at all though it will take some time for your body to adjust to some foods. Enjoy your couch time. Enjoy your down time doing only what you feel up to. I had a 2 & 5 year old when I had mine out 35 years ago. Have a large scar to show for it. DH had the belly button surgery about 16 years ago and has no scars to be seen. Big difference in the recovery time. Hope you are back to normal soon. I wish you a speedy recovery! What an unexpected event for you! I totally get the lack of motivation, but I have learned that forcing yourself to 'do something' isn't always good! Having the time to become recharged is a great way to become inspired again and help you get back in the groove! You will! Oh Valery, I am so sorry to learn that your were ill, and this is very painful! 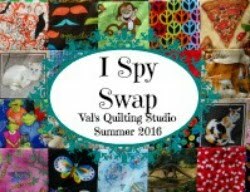 I hope all this trouble is behind you now and you will recover very soon and make another thousands of quilts! Best wishes! Wishing you a speedy recovery. Looks like you'll be spending your time well snuggled up on the sofa with a quilt and a furry friend to keep you company! Val, SO very sorry you have not been well and don't I know that surgery is a bummer! Please, take extra good care of yourself and don't overdo. Even though you might have a burst of energy it's best to just rest up and let your body heal.I know you soon will be fit and read to go. Val that is a real relief that you got that nasty gall bladder removed safely. What a hard time of it you've had this last few weeks. And you did not need to lose any weight either. I bet your students miss you a lot. Love the photos you shared and love that i've found you on Pinterest now! Stay comfy and recover quickly! It has been such a relief!! The kids were precious when I told them is be our for a week ...they made me get we'll cards and said we'd have a party when I get back!! (Which means Im in charge if cupcakes!!l!)lol! So cute! Sorry to hear you have been down sick. And yes! there will always be quilts in my head and a million reasons to make them. But who needs a reason. I quilt because I was born to quilt. Val! I'm just reading this now! Sorry to hear you had surgery, but I am glad you are in recovery! I'm praying for complete restoration! Tell your daughter that I too will NEVER get tired/bored of making quilts and that I want to make 10 Million! LOL!!! Gall Bladder pain is right up there with having a baby pain and that's really extreme, lower body ripping apart type pain. Can you tell I have experienced gall bladder problems, but thankfully they do it laproscopically, and recovery is easy. After my surgery, the doctor presented me with a small glass jar, full of my stones in alcohol, in case I wanted to save them. According to him, they were the largest he had ever seen, but that is relevant. Hope you are feeling much better. The gall stone thing is very painful. Thankfully the surgery is so much easier than it used to be. Enjoy your rest and recovery. Oh Val! I'm catching up on my blog roll today... I hope you are feeling better. And yes our bodies need to rest but I can see you are keeping your mind active! It's humbling when you can't do the things you are used to doing and yet it makes you appreciate your health all the more as you heal. Take care. So sorry to hear about your surgery! Hope you are feeling better soon. It looks as though you are making the most of it.